The Insight Center sat down with Nora Dowley-Liebowitz and Meghan Kelleher from the Achieve Program to discuss best practices for promoting high attendance among middle school students. 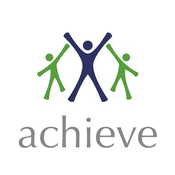 Achieve runs a 6-week, full-day summer learning program, serving 78 middle school students on the campus of Nobles and Greenough School in Dedham. The program focuses on stemming summer learning loss through academic classes, and offers enrichment activities such as a speaker series, swimming, and Taekwondo. Students commit to 3 consecutive summers of participation. Achieve notched a 98.77% average student daily attendance rate in summer 2016, one of the highest among middle school-serving sites. Nora and Meghan, thanks for taking the time to speak with us. As one of 127 sites in the Boston Summer Learning Community in 2016, Achieve had one of the best average student daily attendance rates among middle school-serving sites. As a starting point, tell us about how important student attendance is to your program outlook. Achieve: Part of the reason we are successful with attendance is that we talk about it at the beginning of our interactions with students. We have a clear and strict policy in place. We are not a program students attend sporadically, attendance shapes the entire program. Our attendance policy is clear: you must attend every day of the 6 weeks because this is a program with an academic focus. We’re trying to stem summer learning loss and help students gain core skills. If you miss a day, you are missing huge chunks of information. Our policy is if you miss 3 or more days for unexcused absences, a conversation will occur which may result in unenrollment from the program. We haven’t had a student break the policy in the past 2 years, but it has happened. There is accountability. Of course, we have and allow excused absences, for circumstances such as illness or doctor appointments. But we start talking about this policy and our focus on attendance in November when we recruit students. Equally as important, the culture of the program is one where the kids want to be here. When the policy and a warm, enthusiastic climate are paired together, kids will show up. A mentor of mine used to say, “Students speak with their feet.” If they are happy at your program, enjoy themselves, and find it relevant, students will be there every day. Achieve: Before the program, families are very involved in the decision to enroll the student in the program. So our staff emphasize the importance of daily attendance with families upon enrollment. When you tell parents, “This is an expectation of ours,” and here’s why it’s important, and then list those reasons, it’s effective. Anytime a student is absent during summer, a phone call home is made to the family. Our administrative staff are responsible for this – to ensure that parents know of the absence and we gain an understanding of why. If there is no follow up to the family and student, there is less incentive for the student to come back the next day. Also, our teaching staff are clear with the students. If you miss days, you will have to catch up. There will be homework to catch up on. If you aren’t present, you are in fact missing something important. We’re finding that promoting student daily attendance starts in winter when students are recruited into program. And you’ve been hitting on that point already. Can you tell us how you support & encourage students and their families before program begins and as programming takes place? Achieve: When we start recruiting kids in the winter, parents aren’t always present for the initial conversation. But when we eventually receive applications, we interview student finalists and their parent(s) must be present in that interview. We’ll have a 20-minute info session with each parent, and talk to them about our attendance policy. We’re asking a ‘big ask’: 6 weeks per summer, for 3 summers. So we have that conversation in the winter before they are even officially enrolled for their first summer. We follow up by reinforcing the requirement in our new student orientation. Upon acceptance, every parent and student signs our attendance contract. We keep the policy and contract simple – once you hit over 3 days of unexcused absences, that’s grounds for dismissal from program. But it shows that the Achieve Program is a relationship among the parent, student, and Achieve staff – all 3 players are at the table for these types of conversations and during the setting of expectations. Achieve: Well, it’s always difficult to articulate culture. At Achieve, kids feel they are valued, and that they have a voice. We use restorative justice, and avoid things like demerits. Even with our attendance policy, there is always a conversation about whether or not the program is a good fit after the third unexcused absence, before the student is officially unenrolled from the program. Kids feel valued and respected by our adults. Their voice is important. We employ a culture of critical care. Our ratio is 3 adults to every student; it’s set up so that every student has a positive relationship with at least 1 adult. Kids feel cared for, and valued as individuals. Kids refer to Achieve as family, not a camp or school. Our academic goals are priority, but we provide opportunities for kids to have enrichment – gardening, ty quan do, swimming. It’s work hard, play hard. Speakers come in every Friday to motivate students. And we go on field trips, like to Canobie Lake Park. We build a culture that if you make good choices, you will be rewarded. There is care, warmth, love – relationships are center to our work. If kids feel valued, trusted, cared for, they will perform better in our classrooms. And they’ll attend every day. We’ve already talked about this in some of your previous responses, but anything else to add about how you cater your program schedule/offerings to ensure high average student daily attendance? Achieve: Our weekly speaker series and field trips are important. There is a lot of accountability in the classroom and students are required to complete homework. The enrichment – swimming, speakers, field trips – these are opportunities for fun. We intentionally vary the program offerings. And we take student feedback seriously – we survey students on what they want, and respond to that feedback. Students get to choose enrichment activities, and they get excited about it because they made a choice for it. We listen to their feedback about enrichment activities, and when they identify things that turn them away from an activity, we change it based on their input. We actively encourage kids to give us feedback in a respectful way, we respond to that feedback along with the students, and we reaffirm their voice and choice. We should also mention another critical piece about our offerings: we offer free bus transportation. We run two bus routes that run through Boston. It’s a huge gatekeeper for attendance. What types of specific strategies do you implement before and during program that promote the value of the summer experience to students and their families? What concrete strategies do you implement? Achieve: Our whole recruitment process is centered on stemming summer learning loss. We tell students – you all are working hard in school 9 months in the school year, but summer is important too. If you come here every day, sure, you’ll get to experience fun things, but if you come, you will be ahead in school the next fall. You’ll be engaged and have fun, and we want to give you a head start into the next school year. You’ve talked about how parents are part of the recruitment process. You’ve also noted that parents sign the attendance contract, along with the student. Anything else you want to add about the role of family engagement in maintaining high average daily attendance among students? Achieve: Yes, we’ve discussed those things. Overall, the family is really important. Our families understand expectations clearly; they are educated and partner with our staff to make attendance a priority for their child. They know our policy and they help make daily attendance happen. It’s refreshing to see them as our partner in this. Achieve: We’ve been talking about how we should celebrate those who are coming every day. For example, we could celebrate students in our weekly assemblies who have perfect attendance, maybe use some gift cards (like to Dunkin’ Donuts) to incentivize 2 or 3 weeks of perfect attendance. It would celebrate attendance a bit more, and students would get an immediate, tangible award for perfect attendance. Achieve: If you have a policy, you have to abide by it and implement it with fidelity. It’s the only way it will be successful. Even if we love a particular family or student, we sometimes need to have difficult conversations and make hard decisions if they break the attendance policy and don’t commit to changing. You have to set a tone with a policy. But beyond policy, if students see relevance and value of program, they will show up. They see value in academics, but also build friendships and relationships. And our program staff are not shy about talking about the value of the experience, helping students see the growth they are making, and how this is affecting their lives. What are common assumptions that program leaders make about student attendance, and what different approach would you suggest? Achieve: The biggest assumption out there is that students don’t want to be in a formalized program in the summer. That is wrong. Students in the city of Boston are always looking for something to do in the summer. If the program is valuable, they will go. Achieve: For older kids, such as high school, summer programming sometimes runs in conflict with wanting and/or needing a job. For a high school program, students could be paid or have some avenue to compensation. Two other things with age: there is a need to figure out age-appropriate incentives. And, for younger students, such as elementary school, the parents might need to be more involved in daily conversations given the youth of their child. But, regardless of the age group, a clear attendance policy and a strong value of the program (obvious to the children in the program) will drive high student daily attendance. Nora Dowley-Liebowitz has been at Achieve since 2013; she serves as the program’s Executive Director. Before Achieve, Nora worked at the Codman Academy Charter Public School in Dorchester and came to Achieve wanting to tackle the achievement gap outside of school time, especially in summer. Meghan Kelleher has worked at Achieve since 2013. Meghan served as a teaching assistant her first summer and worked during Achieve’s academic-year tutoring program on Saturdays. She graduated from Boston College in May 2016, and now works full time at Achieve as a Program Manager/ Graduate Services Coordinator. Achieve started in 2007. Students make a 3-year commitment to a summer program and school-year academic support, beginning the summer before 7th grade. Students graduate after completing the summer before their 9th grade. Achieve staff continue to track and support students through their first year of college.